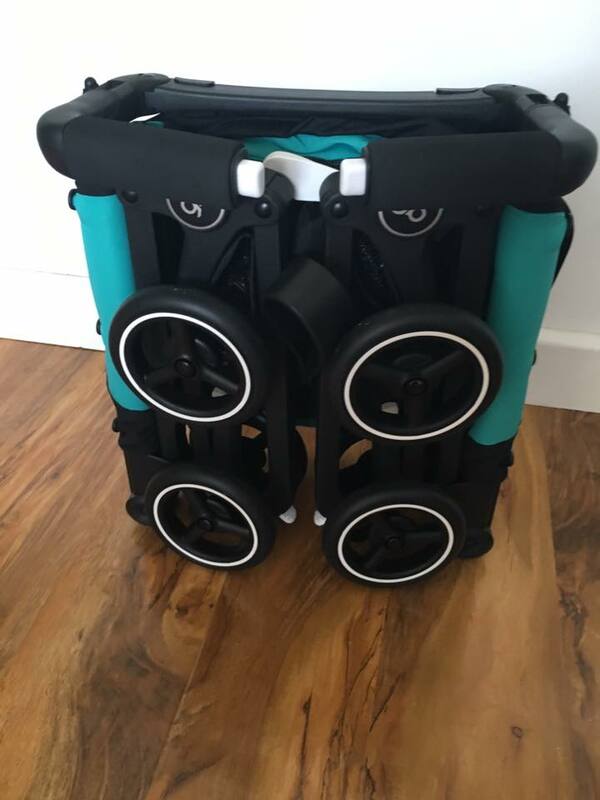 Mum of Five Staying Sane: Review of the NEW GB Pockit stroller currently the smallest folding stroller on the market. Review of the NEW GB Pockit stroller currently the smallest folding stroller on the market. 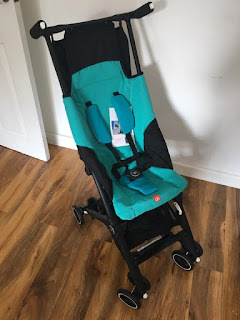 A couple of weeks ago we were sent the fab new GB Pockit stroller to review. Currently the smallest folding stroller on the market we were keen to get our hands on this stroller and see what it was all about. Weighing just 4.3 kg and folding so small and compact it is ideal for travel in the city as well as on public transport. Transporting children from age 6 months to approx. 4 years it is ideal for families on the go and in need of a quick mode of transportation that is easy to fold and carry too. 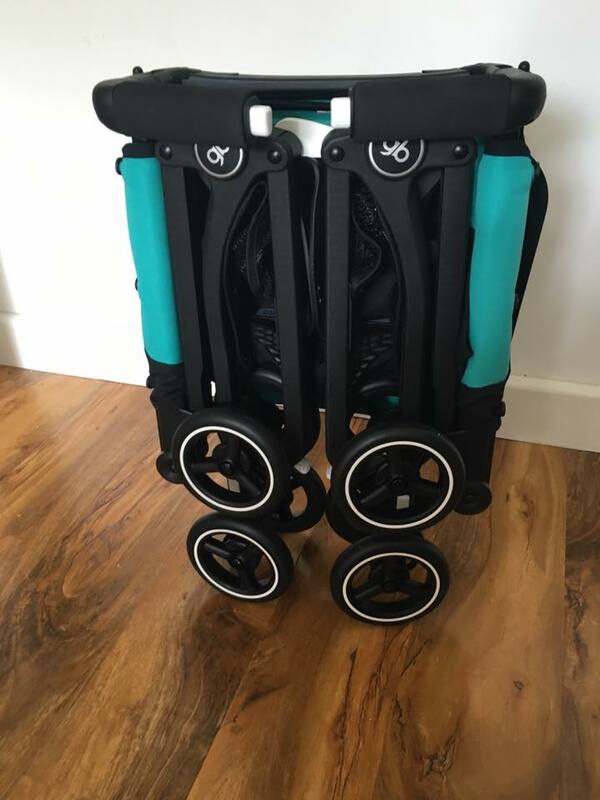 The GB Pockit stroller is available in 6 different colour ways. The 2016 collection currently includes Capri Blue, Monument Black, Lizard Khaki, Dragonfire Red, Seaport Blue and Posh Pink and retail at approximately £149.95. With a five point harness, padded chest pads, small under seat basket, sun shade and lockable swivel wheels, this stroller still offers a wide range of features packed into it's tiny compact fold. My first Youtube demonstration! Showing you the great features of the GB Pockit stroller. As you can see from my Youtube video the stroller folds amazingly small and compact and ideal for navigating busy cities, public transport and more. The stroller is freestanding when folded and can easily be tucked out of the way when not in use. The GB Pockit stroller has received a red dot award and also hit the Guinness book of Records 2014 as the worlds smallest folding stroller. 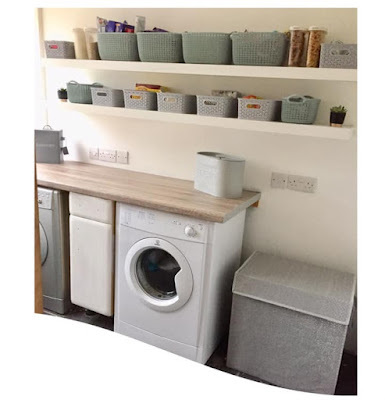 It's dimensions when folded are just 30 x 18 x 35 cm and you can buy a carry bag as an additional extra which makes its easy to transport when not in use. The GB Pockit folds 2 ways to make it more compact if needed. Both ways are freestanding when folded. I would highly recommend this stroller whether you are heading off into the busy city and using public transport or underground trains. Travelling is made easy as it fits into overhead compartments on trains and planes too. The GB Pockit can be found at John Lewis as well as other baby product retailers too.